This Universal External Lithium Rechargeable Battery Pack can add extra 15 to 30 hours running time for Apple Macbook, Macbook Pro, 40 hours running time for iPad, 90 hours talk time for iPhone and etc. High Capacity Universal External Rechargeable Lithium-ion Battery Pack for Apple Macbook Computers. This battery works for Apple Macbook /Macbook Air/Macbook Pro computers that originally come with 40W ~ 65W power adapters with 14.5V ~ 16.5V output voltages. This battery will not work for Macbook computers that require 85W 18.5V ~ 20.5V power. 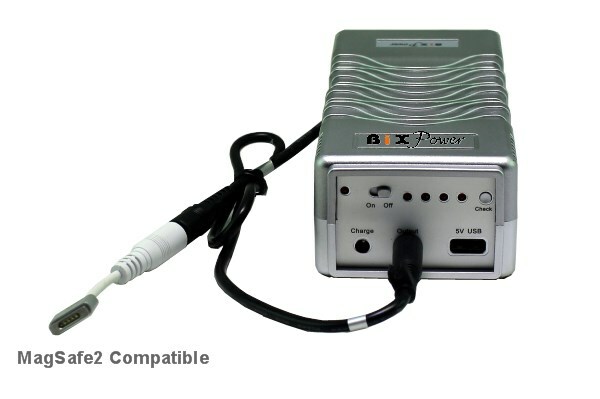 You may need our MAC170 or MAC220 battery if your Macbook computers original power adapter is a 85W power adapter with 18V ~ 20.5V output voltage. 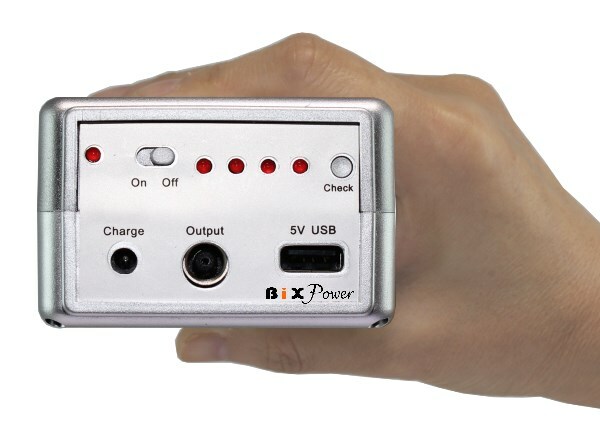 This battery also has a 5V USB port that can be used to power or charge cell phones, iPhone, iPad, MP3/MP4 players, PDAs and any device that can be charged from a USB port (USB power cable not included). High capacity: This battery capacity is 99.9 Watt-hour ( or 27000 mAh if we rate this battery capacity like some other brand external batteries on market). We suggest using "Watt-hour" instead of "Amp-hour" to compare capacities of different batteries. Watt-hour or Wh, is a more accurate unit to show the power capacity than Amp-. Hour (Ah) that was used before. The Watt-Hour unit means the wattage that the battery can provide within one hour. Multi output voltages controlled by output cables. Will provide up to 4 ~ 6 Hours of Power depending on Laptop and Usage. 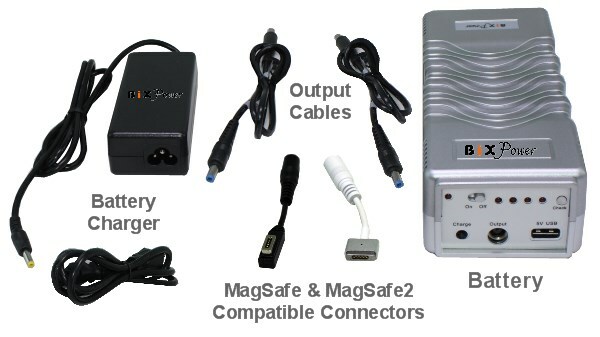 The battery pack comes with one iP100 battery + 2 Output cables ( 15V, 16V) + 1 AC charger + 1 MagSafe compatible connector C28 + 1 MagSafe2 compatible tip. Note: Please use the enclosed AC charger to charge the battery only. An external battery works differently from the internal battery in a device. 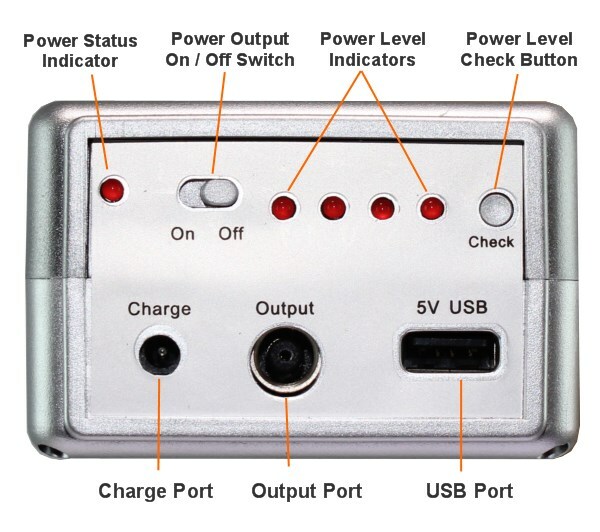 The external battery output voltage should be close to the device power adapter output voltage or device input voltage. 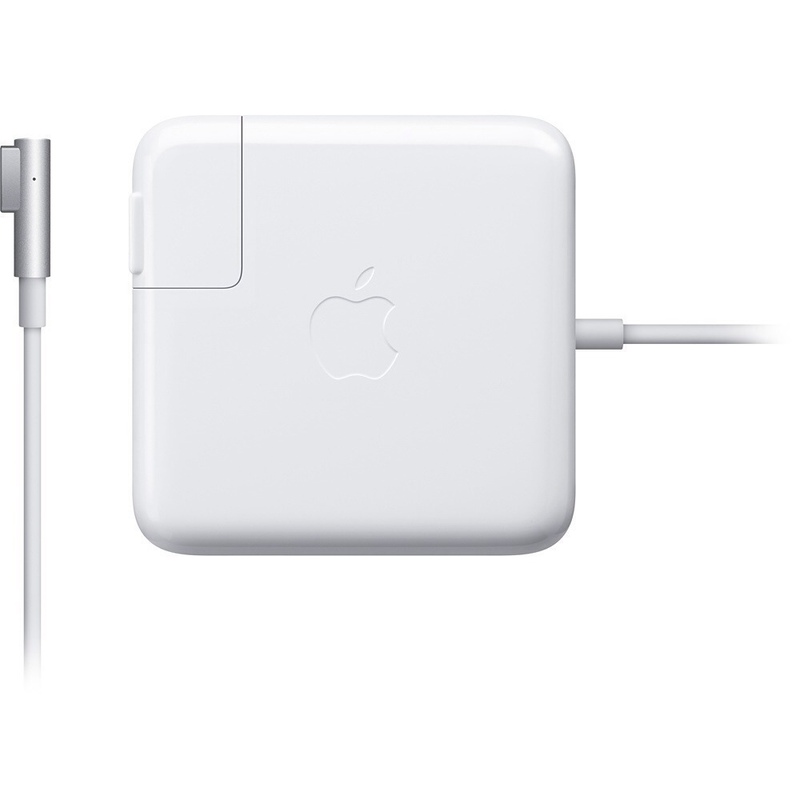 Refer to the label on AC adapter for your notebook - to check the "Output" power. 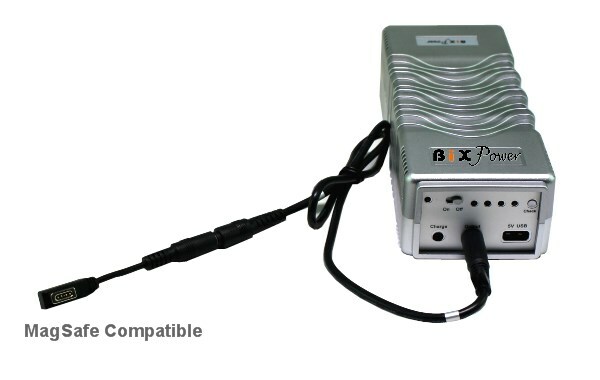 The battery package includes a few different output cables with built-in voltage control chip. After confirm the voltage your device needs, select the correct output voltage cable. The external battery output voltage should be same or close to the power adapter output voltage, or the device power jack input voltage, which may be different from the internal battery voltage. It should connect to the computer power input jack where power adapter usually plugs in. 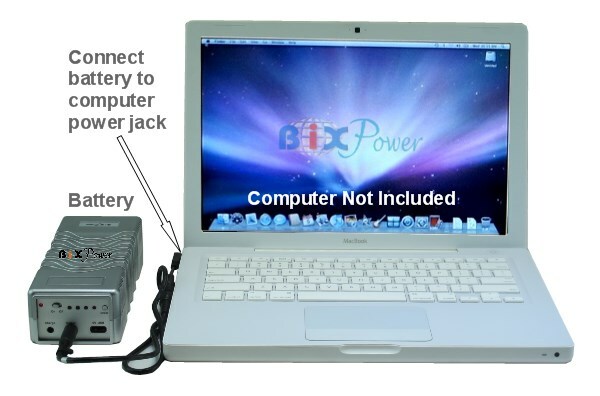 If your Macbook computer original power adapter is a 18.5V 85W power adapter, this battery may not be able to charge internal battery and power computer at same time. You may need to remove the internal battery or use the original power adapter to fully charge the internal battery first when use the external battery. There is a on/off switch on the battery. After turn the battery, a Red LED light will be on. Always turn off the battery when you don’t use the battery. Leave the battery on may build up static inside the battery cells and damage the battery. When the battery is on, the first Red LED will be on. After select right tip and decide the polarity, you can just plug the tip into the adapter cord. Note: If your notebook internal battery is a working battery and has been fully charged, you can leave it in your notebook. Otherwise, we recommend you removing the internal battery from your notebook to maximize the external battery running time. The external battery will still work fine if you leave non-charged internal battery in the notebook, but it may not reach the maximum running time since it needs to charge the internal battery at same time when it is powering the computer. 10.8V x 4000 mAh = 43200 mVAh= 43.2 Wh (Watt-hour). 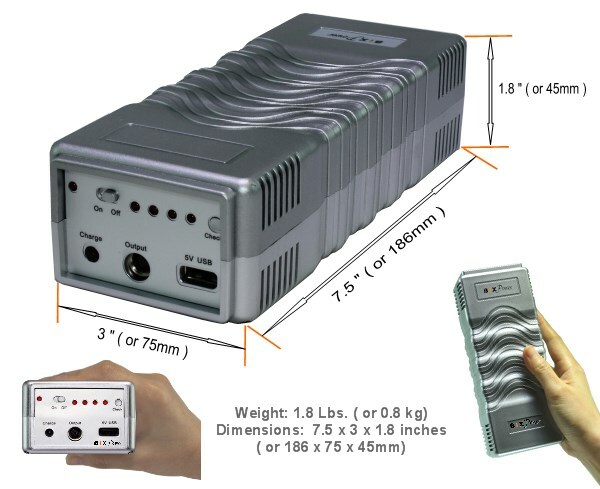 This external battery capacity is about 100/43.2=2 times of your internal battery capacity. If your internal notebook battery can run 5 hours, then the external battery pack can theoretically run about : 5 hours x 2 = 10 hours.